Pat Mahon of Great Lakes Boat Building School talking about how to make your own oars. 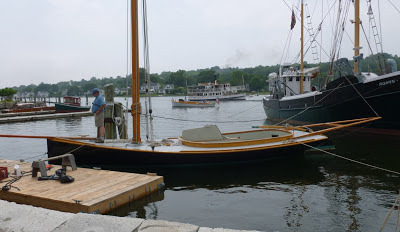 Today, at the last day of the WoodenBoat Show at Mystic Seaport, I attended a so called Expert Skills Demonstration at the Henry B. duPont Preservation Shipyard. 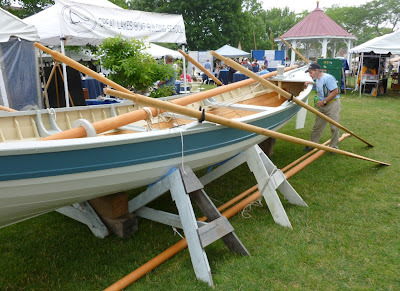 Close to noon, Pat Mahon of the Great Lakes Boat Building School (GLBB), located in Les Cheneaux Islands of the Eastern Upper Peninsula of Michigan, was giving a demonstration on how to make oars. 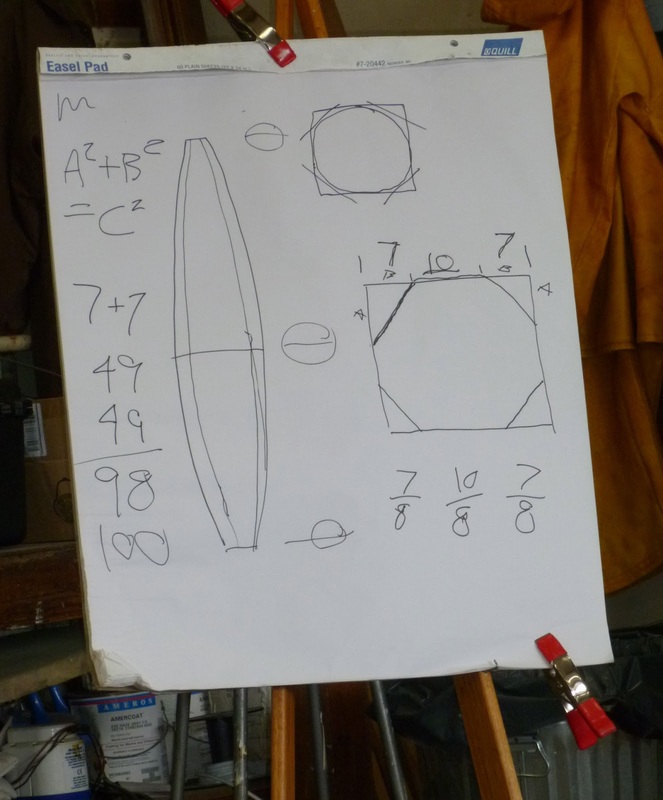 Boat builders' math it not really the same kind of math they taught us at school. Lines drawn on the loom indicating what you need to shave off to eventually making the oar round. This wood for this oar is yellow cedar. 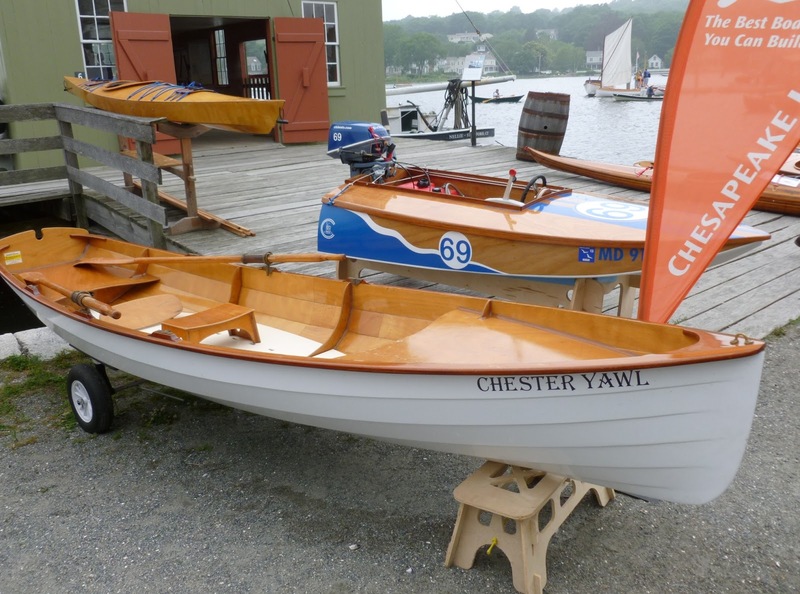 The kind of oars they are making at GLBB are not the oars used for racing shells, they are more the type you use in a skiff and a dinghy. 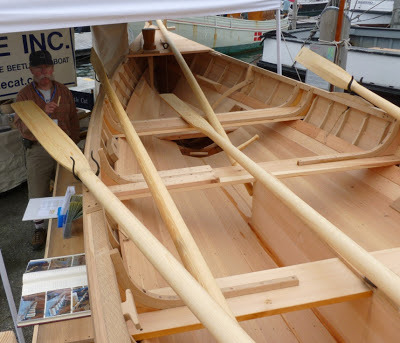 Good wood for this oar is for example ash, fir, spruce or yellow cedar. 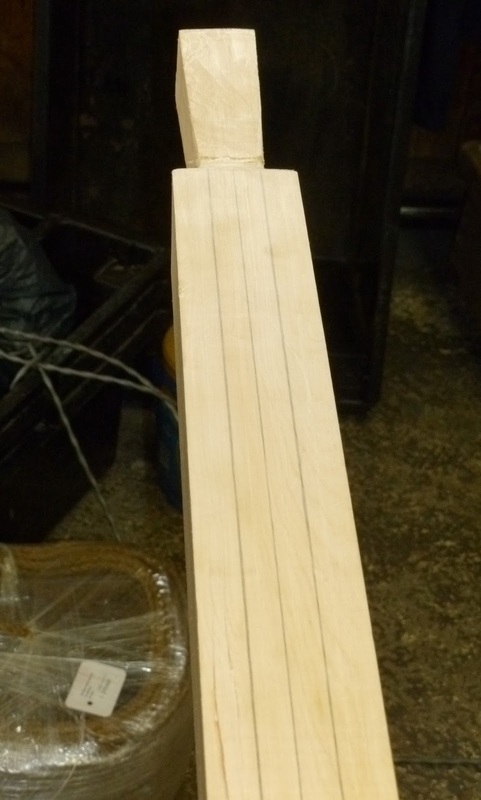 Pat, who is a good teacher, explained how to ‘measure’ out the different parts of the oar: the handle, the loom (where the closes part to the handle can be square as that’s the counterpart which balance the oar), neck, shoulder, blade and tip. 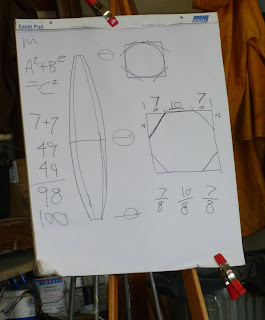 The boat builders in the olden days – and I am now talking about builders more than 1,000 years ago – knew that the important part in oar making is to figure out the proportions, not the exact measurements; the most important tool you use in making an oar is your eyes. 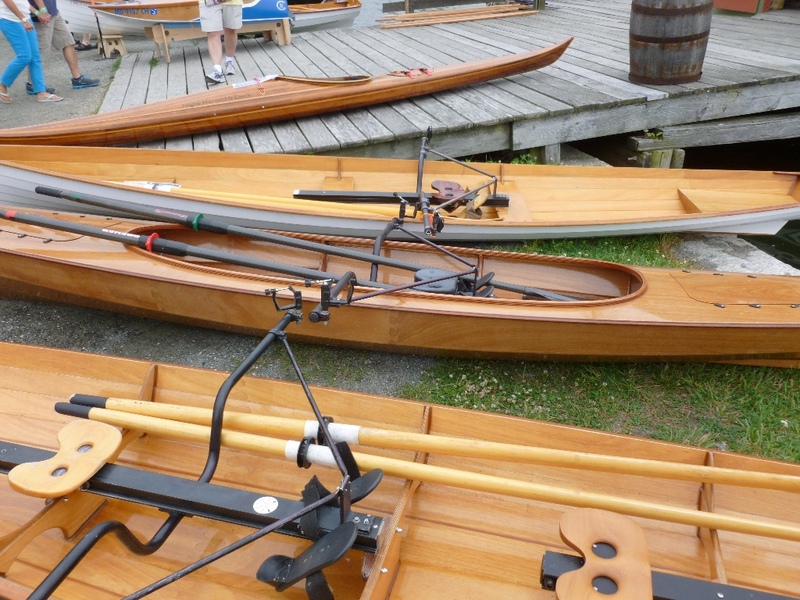 Make sure that the oar is fasten when you are working with the tools as you will be needing both hands. To cut out the piece that will be your oar, you need a band saw. 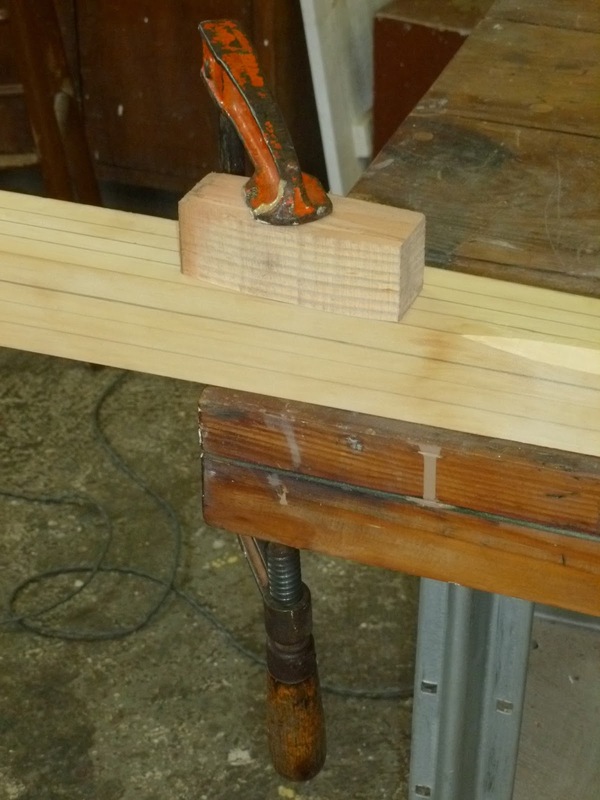 After that, you only need a few tools like a pencil, ruler, drawknife, plane, spokeshave and a patternmaker rasp. Pat showed how easy it was to use these tools – or, should I say, it looked so easy when he did it. 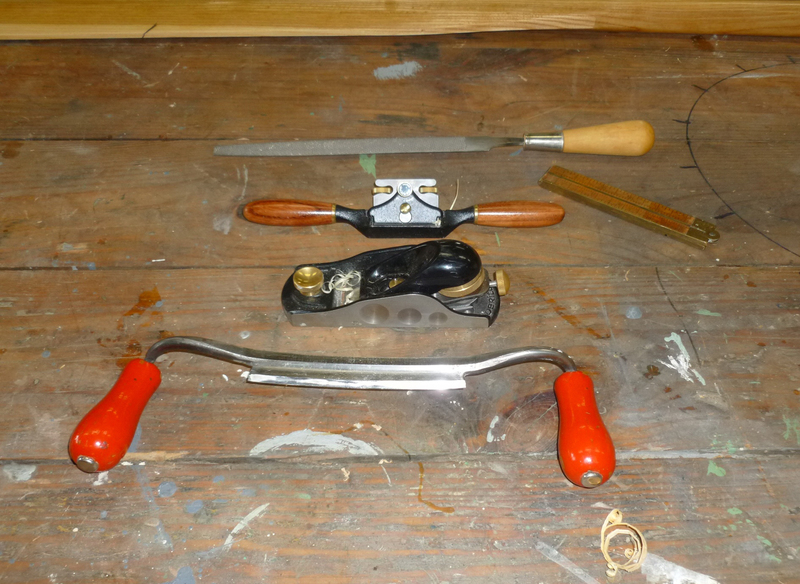 The tools that you need to make your oars: from the bottom, drawknife, plane, spokeshave, ruler and rasp. I appreciate a good craftman’s work. Pat taught me a good lesson during the one hour session that will save me both time and money. As much as I wish I had the skill and knowledge, and maybe the guts, to make my own oars for my little 10-foot dinghy, alas, I now understand that I do not posses these skills – I just have to buy the bloody oars. The first day of this year's WoodenBoat Show at Mystic Seaport in Mystic, Connecticut, looked as it was going to be a wet event, but the rain stayed away during the show which again offered all kinds of beautiful wooden watercraft. Below are some picture taken yesterday, Friday. 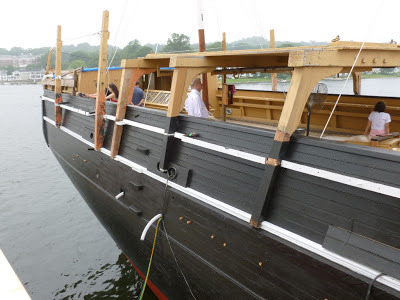 The pride of Mystic Seaport, the 1841 whaleship Charles W. Morgan, which will be launched on 21 July this summer. This photo was taken a couple of days ago. There they are, the whaleboat from the Apprenticeshop which left Maine on 16 June, coming up the Mystic River in the craft that these students have built to donate to Mystic Seaport's Charles W. Morgan. 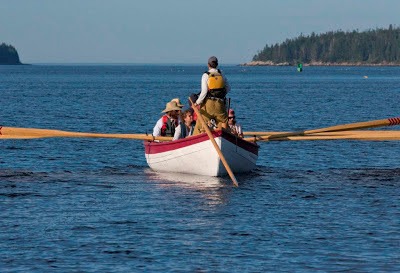 Despite all days out at sea and hitting bad weather at the last leg, the crew rowed up the river in good spirit and style. Photo: Dan McFadden. The whaleboat is escorted in to Mystic Seaport by the Museum's own whaleboat crew, seen on the port side of the Apprenticeshop's boat. 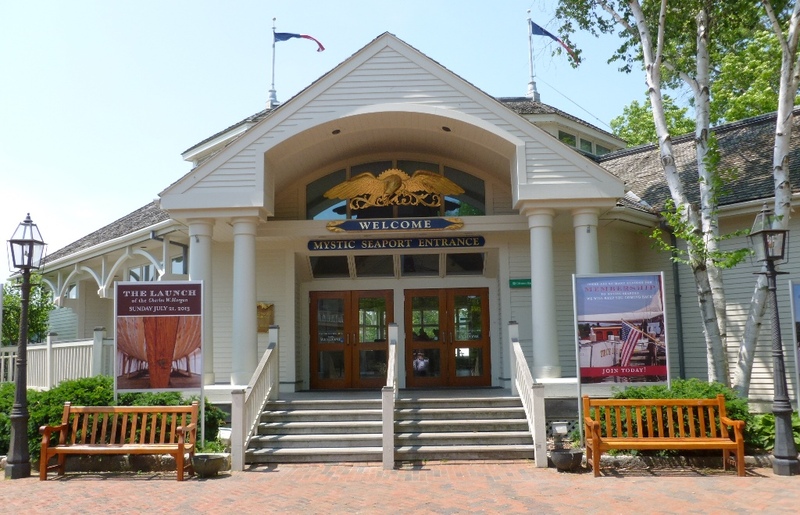 Today, summer begins at Mystic Seaport – The Museum of America and the Sea, Mystic, CT, as the 22nd Annual WoodenBoat Show kicks off. 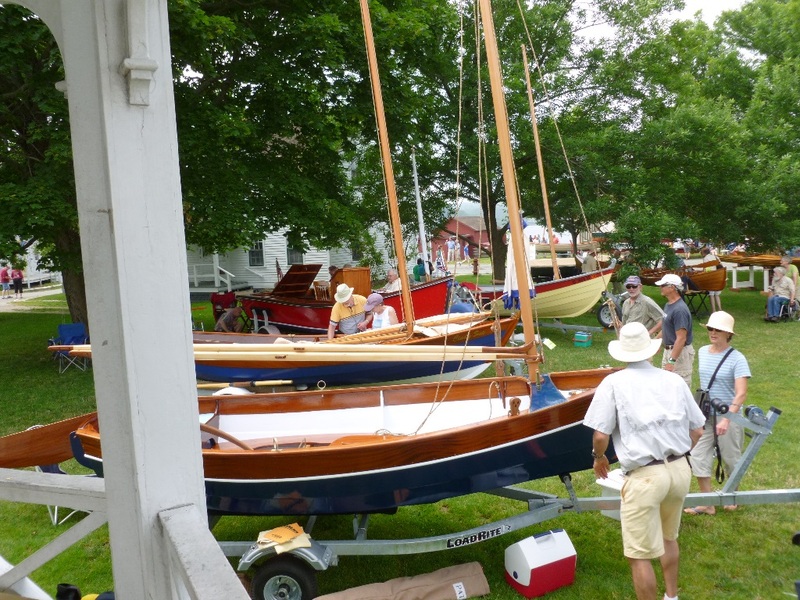 It is the seventh year in a row that the WoodenBoat Show is held at the Museum. As usual more than 100 exhibitors and vendors will have beautiful wooden boats on display, making it one of the largest wooden boat shows in the USA, drawing approximately 13,000 Museum visitors to the banks of the Mystic River during this three-day event, 28-30 June. This year there are some special exhibitors, who are building whaleboats for the Museum’s 1841 whaleship, the Charles W. Morgan, which is the last of her kind in the world. 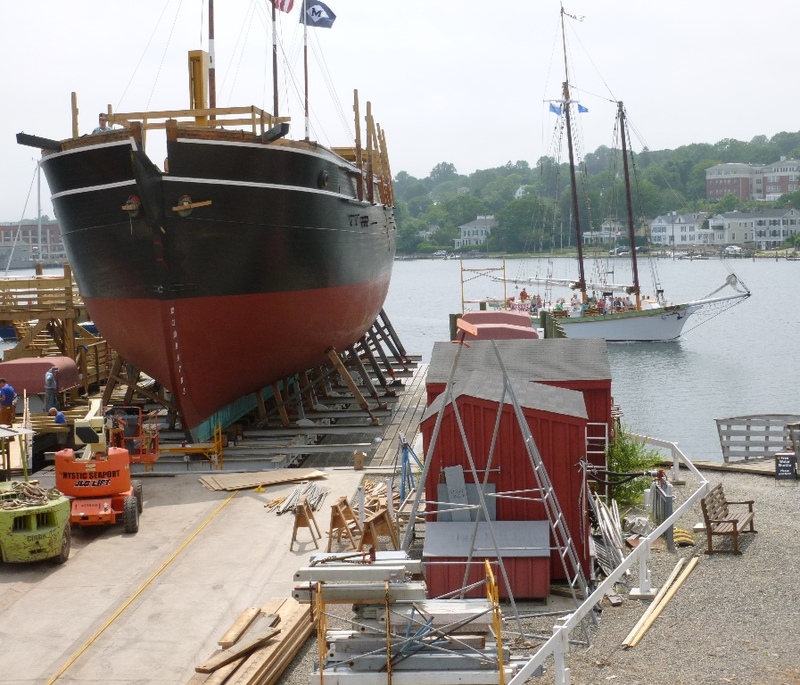 During a five-year period Mystic Seaport has restored the Morgan in the Henry B. duPont Preservation Shipyard. She will be launched into the Mystic River on her 172nd birthday, 21 July this year. 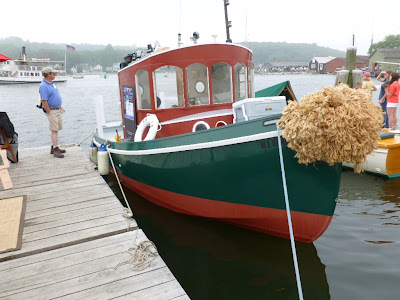 Thereafter, she will be fitted and rigged so next May she will go back to sea for a ceremonial 38th Voyage, revisiting some of the New England harbours where she once anchored during her whaling heydays. 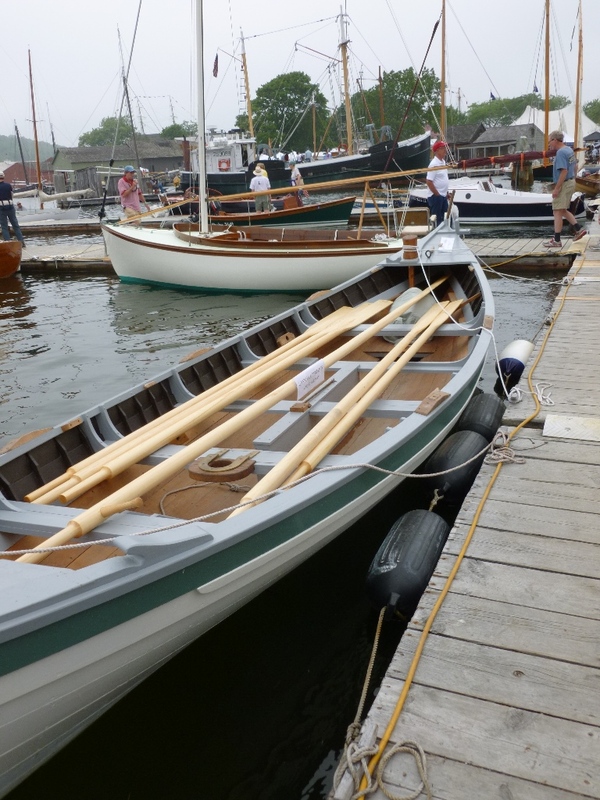 The Morgan will have seven newly built whaleboats on board. These boats are part of a ten-boat national project to construct replica whaleboats. 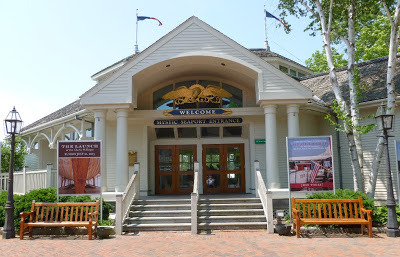 The organisations building these 28-30-foot long open boats for Mystic Seaport are: the Independence Seaport Museum of Philadelphia, PA; Rocking the Boat of Bronx, NY; Gannon & Benjamin Marine Railway of Vineyard Haven, MA; the New Bedford Whaling Museum/Beetle Boat Shop of Wareham, MA; the Great Lakes Boat Building School of Cedarville, MI; The Apprenticeshop of Rockland, ME; Alexandria Seaport Foundation of Alexandria, VA; Lake Champlain Maritime Museum of Ferrisburgh, VT; Wooden Boat Factory of Philadelphia, PA; and Lowell’s Boat Shop of Amesbury, MA. 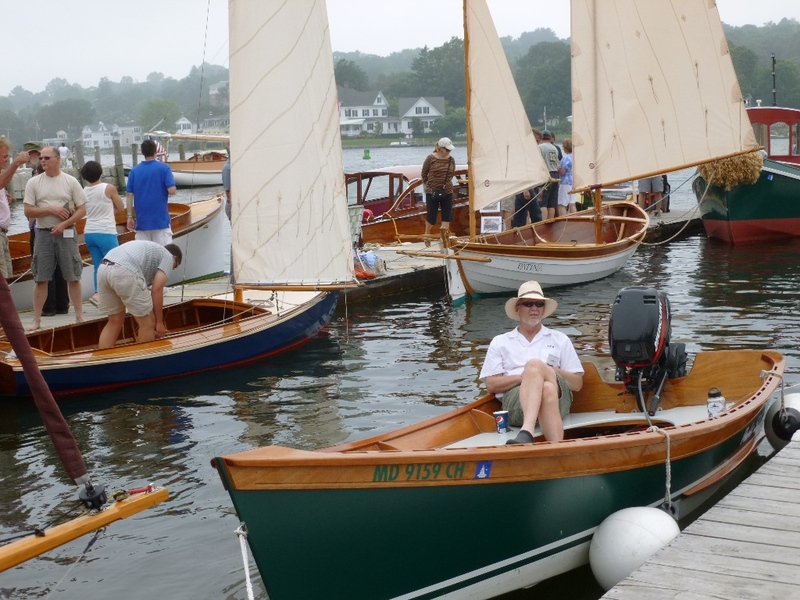 The seven first organisations on this list will actually be displaying their whaleboats during the WoodenBoat Show. 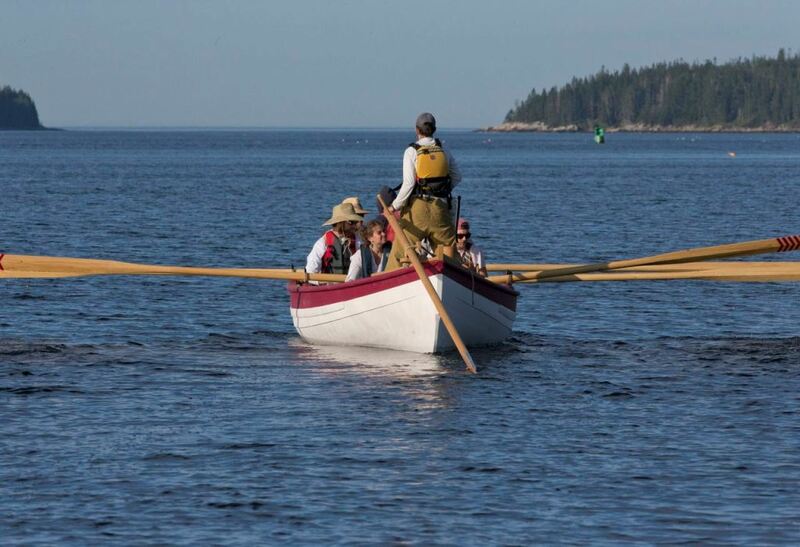 The boat builders from the Maine based Apprenticeshop will arrive in style as they have rowed and sailed their whaleboat on a 350-mile voyage from Maine to Mystic, starting on 16 June and planning to arrive today. 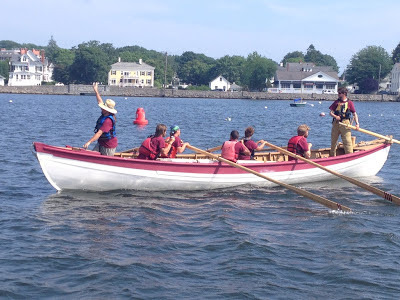 On board the boat is Captain Bryan McCarthy, Apprenticeshop director, at the helm, apprentices Rachel Davis, Daniel Creisher, Simon Jack, Garrett Farchione, Tim Jacobus and Pat Lydon. They have been accompanied by chase boat Advent. The crew has been sharing photographs, videos and daily updates on The Apprenticeshop’s Facebook page and blog. HTBS welcomes all the whaleboat crews to Mystic! 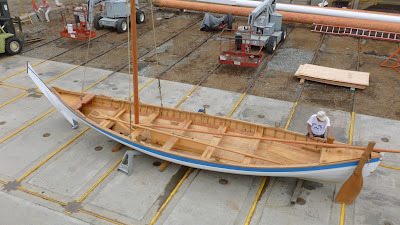 For those who are interested in learning more about the ten-whaleboat national project, in the current issue of the Mystic Seaport Magazine, which is now available on-line, Mystic Seaport's Morgan Restoration Project historian Matthew Stackpole has written an article about building whaleboats for the Morgan, on pages 10-12 (on page 12 there is also an article about whaleboat racing!). 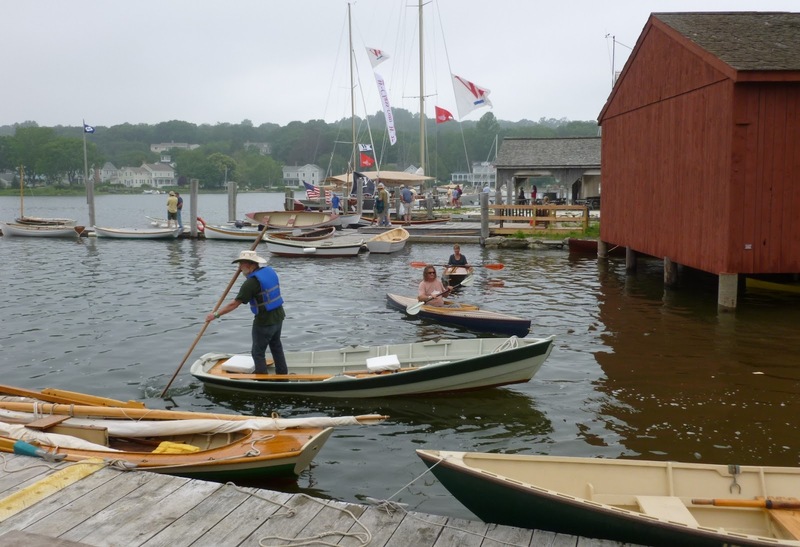 Go to the on-line version of Mystic Seaport Magazine, here. Henley Entries: Huskies v Bulldogs? The Stewards gather information from the results of the major Head Races during the winter and then from the major Regattas during the spring and through to the closing date for entries in June. However.... it is not realistic to try to assimilate all of the thousands of results into one data base. Indeed, with all the crew changes.... that take place between March and June it would be completely pointless to try to assemble such a database. 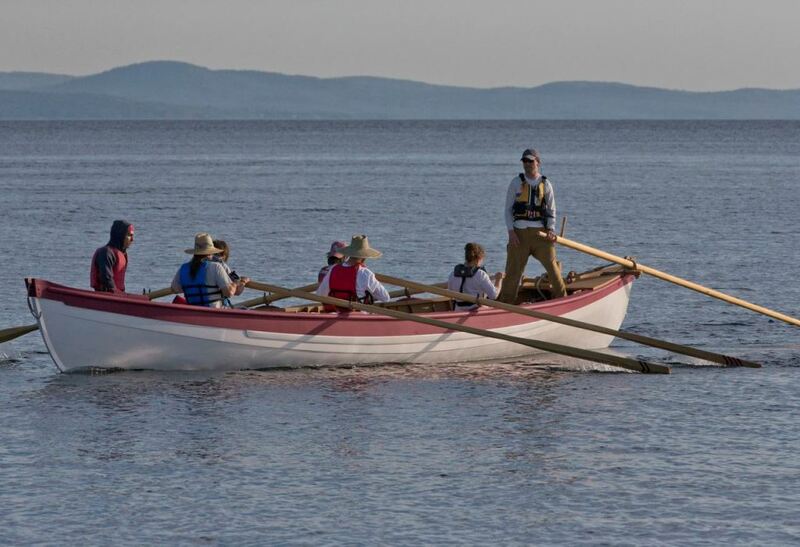 Therefore, not surprisingly, the key results that are considered by the Stewards are those from the major Regattas held during April, May and the first two weeks of June. Henley top tip – row fast if you want to win. On 19 June, I wrote about how the all conquering University of Washington had decided to enter its top crew in Henley’s premier eights event, The Grand Challenge Cup, rather than in The Ladies’ or The Temple. We now know that their opponents will be the Polish National Eight and a GB National Eight. The latter will include three of the London Gold Medal winning four, Andy Triggs Hodge, Pete Reed and Alex Gregory. At the Dorney round of the World Cup on Sunday, they beat the Poles. I, perhaps like many of the British rowing fraternity in the crowd at Henley, will have difficulty in deciding who to support. Our patriotic duty will, of course, be to GB (rowing as Leander and Molesey) but the Brits like an underdog – so Washington may get a bigger cheer than they expect. The women’s open eights event, the Remenham Challenge Cup, has attracted twelve entries (to be reduced to eight by qualifying races). 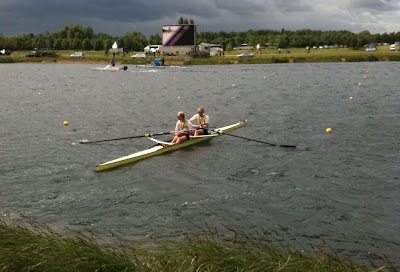 It is notable that the open eights event at Henley Women’s Regatta attracted only two ill matched entries. While the lure of a win at Henley Royal is obviously a big thing, it is a shame that the top event at the world’s only major regatta for women is not properly supported. The Diamond Challenge Sculls, the men’s open single event, should be the best in years with entries from Mahe Drysdale (1st in the single sculls in the London Olympics), Alan Campbell (3rd), Aleksandar Aleksandrov (5th) and Marcel Hacker (6th). Added to this mix is Joseph Sullivan (1st in the double sculls in London) and Duncan Grant (three times World Lightweight Champion). 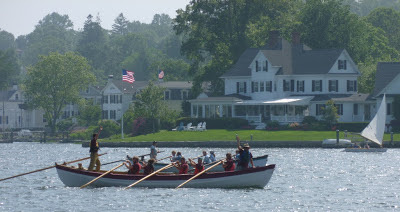 Work in progress – the Henley finish on Sunday, 23 June. Going through the entries I see that they will produce a bigger challenge than usual for the HRR race commentator. 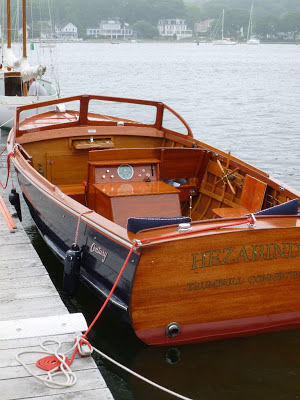 As anyone who has attended Henley Royal will know, the commentary is, as you may expect, very restrained and what many people imagine to be typically British. It is entirely factual, never deviating from the formula of giving the times and relative positions of the boats at set places on the course. No opinion, analysis or emotion is conveyed in the commentary. The only deviation from the British stereotype is the fact that ‘difficult’ foreign names are pronounced clearly and confidently – all be it in an impeccably English accent. The British are very impressed by any of their countrymen who can do more than order beer in a foreign tongue and the Henley crowd greets such pronunciations with a loud cheer. This year there will be such appreciation shown for the announcement of Wojskowy Klub Sportowy Zawisza and Regionalne Towarzystwo Wioślarskie Lotto, Poland, in the Grand, Rheinisch Westfälische Technische Hochschule Aachen University, Germany, in the Temple and Roeivereeniging Studenten Vreie Universiteit Okeanos and Amsterdamsche Studenten Roeivereeniging Nereus, Holland in the Visitors’. Henley is unfazed by such things as they have been (mostly) welcoming overseas visitors since 1872. Harry at his last Henley in 2012. The legendary Harry Parker, Harvard coach for fifty years. It was his 11th Henley win.... In his speech, Henley Chairman Mike Sweeney paid tribute to Harry’s semi-centenary and the crowd responded warmly to the sentiment. I witnessed a most telling incident which showed the respect and affection with which Coach Parker is held. A very senior Steward of the Regatta, a man who is the epitome of the British ‘stiff upper lip’, greeted Harry with a spontaneous hug. You have to be very special for an Englishman of this gentleman's age and class to act like this. Harry’s last Henley win. 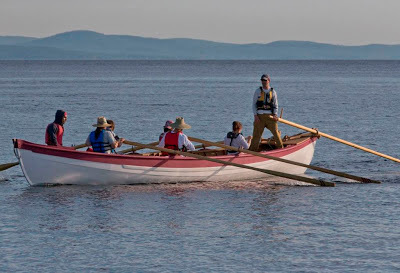 His crew won the 2012 Ladies’ Plate by one foot, going ahead of the opposition in the last few strokes. Here is what is published in the Harvard Gazette today. Dorney Lake, Eton, has just hosted its third international rowing regatta in as many years and once again the weather has been a major talking point. World Rowing’s ‘Fairness Committee’, led by Thor Nielsen worked overtime and both Saturday’s and Sunday’s lane positions were re-drawn. There were some exciting races and some crews pushed out into the less favourable lanes exceeded expectations whilst some of those in the more sheltered lanes (lanes one and two) like Marcel Hacker and the British men’s quad, struggled. Why? Well, I think that the cross/cross-tail wind was finding its way through the access gaps from the warm-up lake and lane one wasn’t always the calmest on the course. It’s a tough decision but personally I would have preferred if they had kept the chevron system. There were plenty of crab-catchers on finals day, with the Chinese W2x and the Great Britain W4x catching boat-stoppers in their sprints for the line. Even Ondřej Synek, gold medalist in the men’s single was guilty of catching one and that in a favourable lane in the early stages of his race. 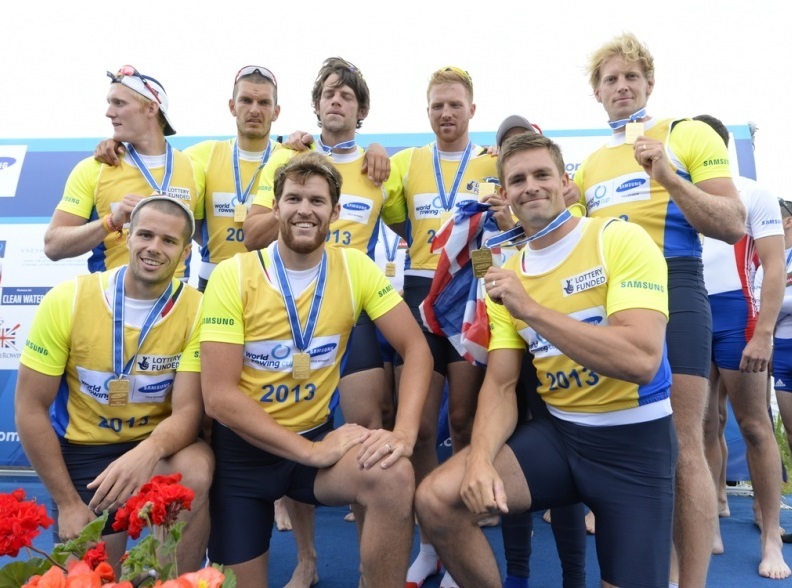 The results and race reports for Sunday’s finals are on the World Rowing website. Keen eyed spectators would have noticed that the Great Britain men’s eight who took the gold medal from Poland in the final 100m were not all wearing their yellow bibs as World Cup leaders in their row-past after collecting their medals. The GB men’s eight on their victory row after the final race of the World Cup Regatta on Dorney Lake. Moe Sbihi in the ‘5’ seat. Moe Sbihi, the tall (6 ft. 8 inch) powerhouse in the five-seat, was missing his after handing it to a lucky spectator. As usual, I watched the racing from the 1,750m mark and after the last race of the day I thought it would be a good idea to see what the view from the grand-stand was like. The presentation for the men’s eights had just finished and Moe walked past on his way to see his family. On his way back to the pontoon for the traditional row up the course for the medallists to be acknowledged by the spectators he kindly handed his bib to my daughters; a very kind gesture that they won’t forget. In truth, even the large bib came up a bit short on him (2nd left back row, picture on top) and Pete Reed (bottom right)! One size fits all? 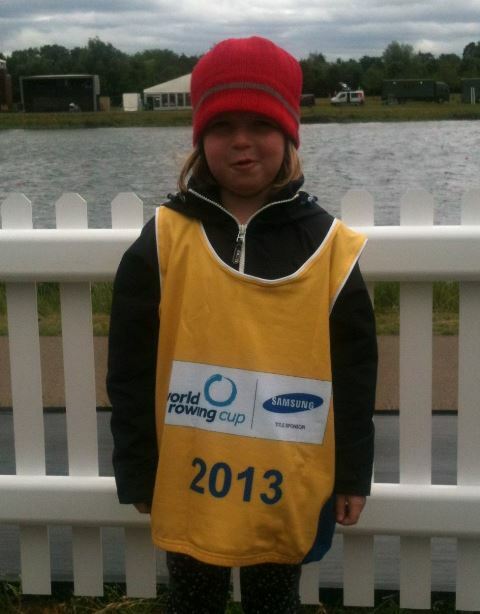 Hannah wearing her World Cup leader’s bib. So, what crews caught my eye? The New Zealand men’s pair was phenomenal, again! They took five seconds out of the rest of the crews in each of the splits from 500m to the finish setting a new World Cup best time of 6 min 16.01 sec. The Croatian men’s quad beat the German Olympic champions in magnificent style and bossed the last 500m with power and precision that was a joy to watch. Race of the day was the men’s lightweight-four final between Denmark and New Zealand. New Zealand led by 0.29 at 500m, 0.20 at 1,000m and 0.90 at 1,500m and then the Danes started their charge but fell just short by 0.04. Eric Murray and Hamish Bond (NZ M2-) with their gold medals – The best crew in the world, now or ever? The final World Cup regatta in Lucerne, Switzerland, is less than three weeks away and it should be the regatta of the year. With the World Championships at the end of August in faraway Chungju, South Korea, only crews that step up at Lucerne can expect to be sent. But before that we have Henley Royal Regatta to look forward to and it is nice to see such a high calibre entry in the Diamond Sculls. Olympic champion Mahe Drysdale (NZL) races in this weekend’s Holland Beker in Amsterdam and is joined in the Diamonds by Alan Campbell (Tideway Scullers School and GBR) and Geordi Bozhilov (Nacional Sport Akademi and BUL), silver and bronze medallists at Eton Dorney. 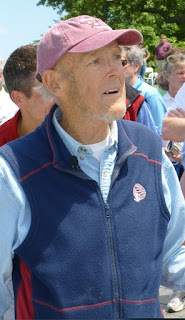 Photograph of Harry Parker, marked by his illness, at the Harvard-Yale Regatta on 9 June, 2013. Harvard Athletics Department announced this evening that legendary rowing coach Harry Parker, the Crimson men's heavyweight coach, passed away earlier today. Parker, who was born in 1935, was U.S. champion in the single scull in 1959 and 1960 and represented the U.S. in the single scull in the 1960 Rome Olympic Games, where he finished fifth. He was appointed Harvard freshman coach in 1961 and varsity coach in 1963. 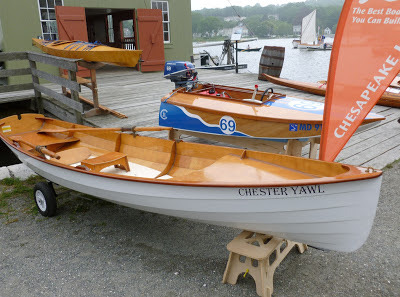 Parker had an astonishing record of being Crimson's coach for 51 seasons, coaching 44 winning varsity crews in their dual against Yale. Read more about Harry Parker here. I better come clean right away: this entry has nothing to do with rowing. However, I feel that I left some strings hanging loose in an entry on 25 May, 2012, and now suddenly I am able to tie them up, so to say. In the entry I mentioned journalist and writer Jeffrey Bernard (1932-1997), who wrote the ‘Low Life’ column in The Spectator. 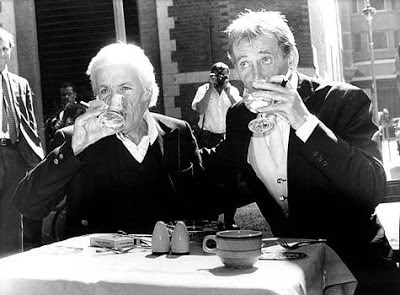 Bernard, a charming drunk and rough, was immortalized by his friend Keith Waterhouse in his amusing play Jeffrey Bernard is Unwell (which was the on-line apology that The Spectator used to put in the empty space where his column was supposed to be – but Bernard had been too drunk to write). The setting for the play is Bernard’s water hole, the pub The Coach and Horses in Soho, London, where he finds himself locked in overnight. Being unable to leave, he reflects on his life, and some of his former employers and friend and girlfriends ‘show up’ in the play. The original actor playing Bernard was his friend Peter O’Toole, who also played him a second time around at The Old Vic. What do you know, I kind of managed to turn this entry around to be about rowing after all! A heat of the Senior 4x. Molesey BC lost to Nottingham RC. 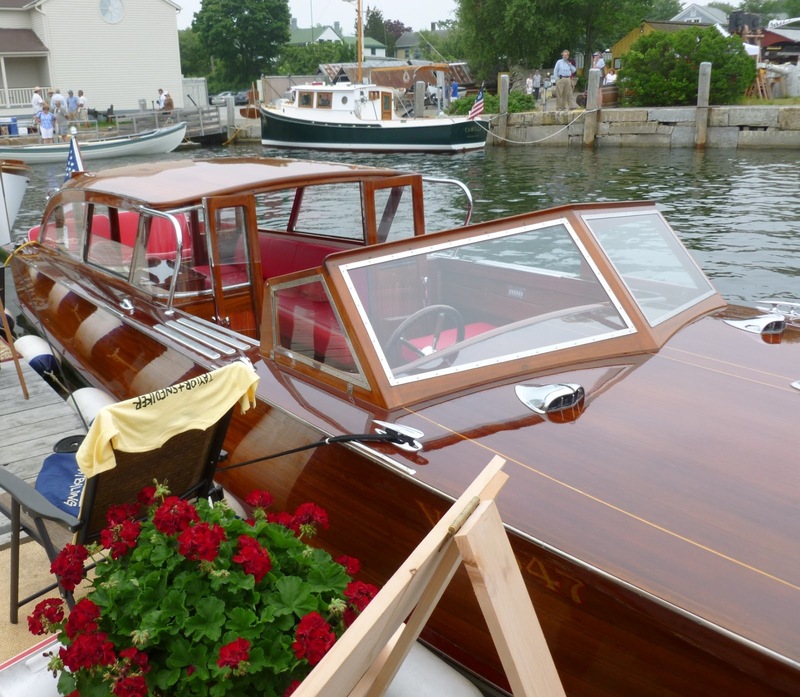 HTBS's Tim Koch went to Henley Women's Regatta where he took some lovely photographs (©). Full list of race results at the bottom of this page. The course from start to finish. The long lens makes it look less than its 1500m. A heat of Adaptive Trunk & Arms 1x. Guildford RC (Birkinshaw) beat Oundle RC (Connon). A heat of the School Junior 4x, Eton Excelsior v Gloucester. The Umpire’s view. Eton Excelsior v Gloucester. EEBC initially take the lead. Eton Excelsior v Gloucester. GRC go through EEBC to win the heat. They went on to win the final. Elite Lwt 2- won by Durham University over Mortlake, Anglian and Alpah BC. Senior Lwt 2x won by Mortlake, Anglian and Alpha Boat Club over Wallingford RC. Academic 4+ won by Exeter University over Manchester University. Club Eights won by Lea RC over Galway RC. 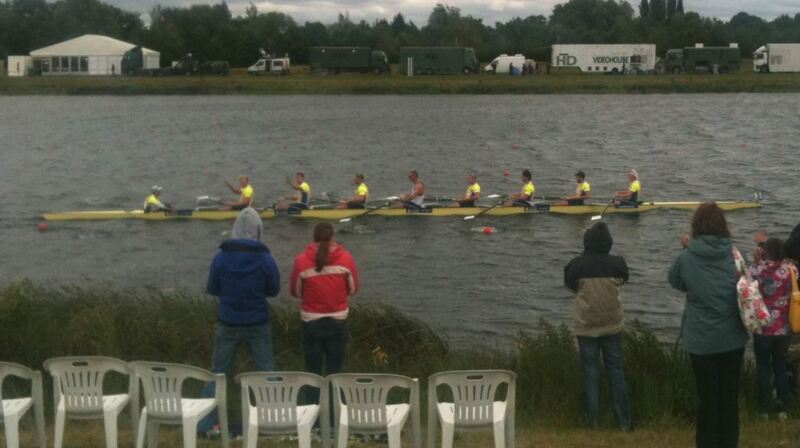 Academic 8+ won by University of London over Reading University. Senior 4x won by Nottingham RC over Wallingford RC. J16 4x won my Marlow RC over Tideway Scullers School. J16 4+ won by Weybridge RC over Sir William Borlase’s Grammer School BC. 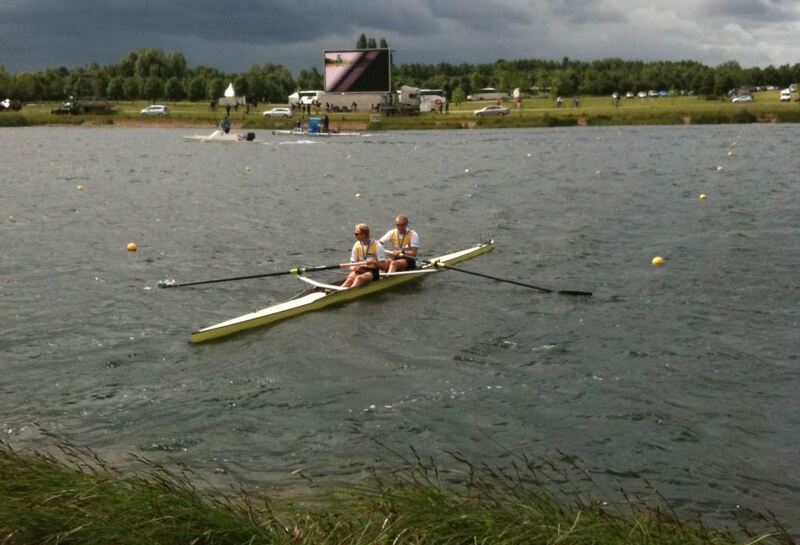 School Junior 2x won by Norske Studenter of Norway over Nottingham RC. You will find all the results here.